With the season of giving just around the corner businesses are looking for ways to recognise their staff, customers and partners. Corporate Prepaid Cards is the perfect solution for Australia’s travel industry this Christmas. 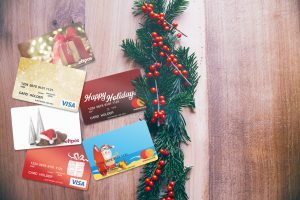 Corporate Prepaid Cards are a fantastic gift that customers, staff and partners can use and enjoy over the holiday season and there’s some great options for travel companies to take advantage of this year. P&O Cruises is one of the many companies taking advantage of Corporate Prepaid Cards to reward and recognise staff. “My company has used Corporate Prepaid Gift cards since 2015 for our incentives and rewards program. The ability to use the prepaid gift card on so many different things is extremely appealing as they can be used on everything from Shopping Sprees, Travel/Holidays and Gifts! Very easy platform to use, ordering is a breeze and efficient customer service,” says Liz Simbaqueba, Trade Marketing Manager P&O Cruises. Powered by Zenith Payments, Corporate Prepaid Cards works with companies across Australia providing a range of tailored solutions including reward and recognition, customer acquisition and retention, commissions, business expenses and refunds. Corporate Prepaid Cards has a range of convenient, cost effective options available for travel companies big and small this Christmas. “Prepaid cards are a great way for travel companies reward staff, customers and partners and it’s great to see so many travel businesses already taking advantage of this,” says Lauren Jenkins. “As the holiday season approaches travel companies, particularly travel agents and wholesalers see a massive increase in bookings and business. Corporate Prepaid Cards can be a great way to recognise loyal customers and partners as well as refunds,” says Lauren. “As Australia’s leading corporate prepaid card provider we have a range of products and quick solutions to help Auastralia’s travel industry end the year on a high note and give your staff, customers and suppliers something to enjoy over the holidays,” says Lauren Jenkins, Marketing Director at Corporate Prepaid Cards. “This year our customers also have access to a new single load Tap & Pay card. Australians have the highest use of Tap & Pay cards in the world and with 90% of face to face payments in Australia now Tap & Pay, we expect this will be a popular choice this Christmas,” adds Lauren. There are a range of different card types available at Zenith’s Corporate Prepaid Cards including single load, zero balance and reloadable cards. These cards can be used at millions of stores worldwide and online. We also offer the TRUSTU reloadable Petty Cash Card which is an ideal replacement for petty cash, saving companies time and effort. It is perfect for minor expenses such as coffee, fuel, parking fees and events and is suitable for employees that may not be eligible for a company credit card.